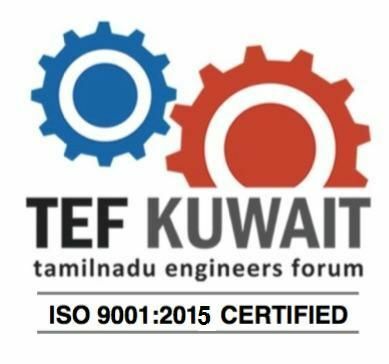 TEF-2019 Cordially Invites You to the Second Technical Seminar of the Year, which is Scheduled on 4th February 2019 @ Al Seif Ball Room, Safir Hotel, Fintas. Al Seif Ball Room, Safir Hotel, Fintas. Generally cyber security refers to devices that are engaged in IT services. IT devices have been extensively used in Industrial Control System, which have brought in their liabilities to the filed leading to highest risk in Operational Technology (OT). The talk will introduce the subject & create awareness and approach to be adopted. TEFians are requested to renew their membership for 2019 & New Membership Enrollment is Acceptable. This Program is sponsored by M/s ELMECH ENGENEERS, Pune, India & supported by their local partner M/s Rezayat Trading Company Ltd, Kuwait.